Yesterday we took our seasonal Autumn trip to Stourhead - although we definitely visit more than four times a year. The Autumn colours were in abundance and when going through the day's snaps I smiled warmly at the hues of reds, oranges and browns that I had captured. The colours of my favourite time of year. Acers, chestnut shells and carpets of leaves just waiting patiently to be kicked into the clear sun streamed air. Shades of red all around; up close and distant. Fungi camouflaged against the brown leaf covered floor. Everywhere we looked, and snapped, Autumn colours were all around. Lovely pictures. I love Stourhead, have only been there twice but I tell everyone who'll listen that they should visit. All these Autumn colours are beauuuuutiful. On Sunday there were leaves blowing everywhere and now the ground along the lanes where I live are covered with them. Love this time of year. Just stunning pics, I love the colours of Autumn. Beautiful :-) I love reds on the trees, they just seem to glow! Looks like a lovely place to go, I have never been. You've captured beautifully the autumn colours. Just the perfect autumn colours! I've never been to Stourhead. I'll have to put it on my National Trust list. Lovely! The red of those leaves against the grey of the building is just lush. I always have a mini strop when Summer ends but it's soon forgotten when the leaves start turning colour, such a nice time of the year - especially on dry sunny mornings ! 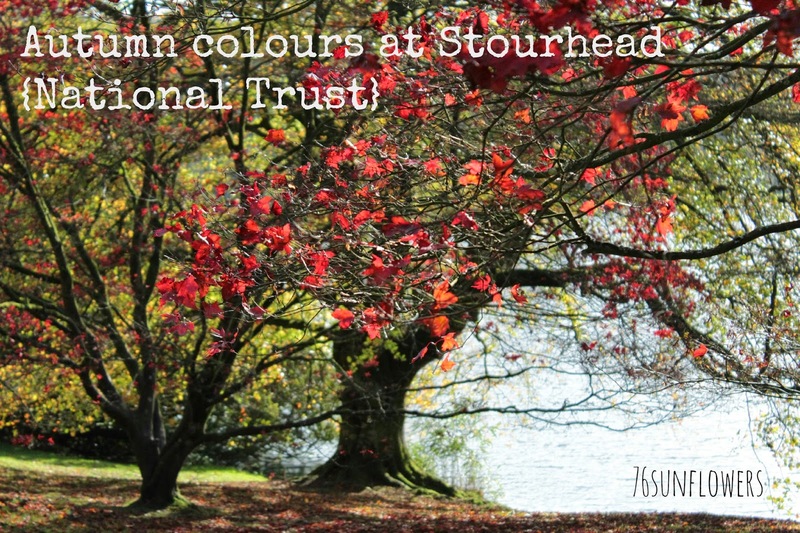 Fab autumny shots - stourhead was on my visit list and it's just shot up my wish list - looks a fab place. Ooh, The National Trust does know how to put on a good Autumn show!